Most of you know that I live in Oklahoma, was born and raised here, and lived in the state all of my life except for the first 5 years of our married life when we lived south of the Red River (Texas!). This state is near and dear to my heart, and for a while I've wanted to start a series of sorts sharing lots of fun things to do, places to eat, and spots to shop in our great state. I'll add posts here and there and start a new tab eventually to organize them all in one spot. 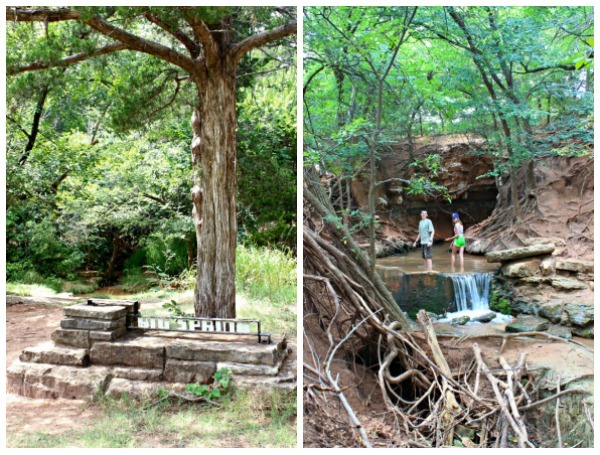 My hope is that if you're local, you just might find a new favorite place to visit, and that if you're not local these posts will be a good resource for anyone visiting Oklahoma. Today is the first day of our Spring Break, and I thought it would be a good opportunity to tell you about one of our favorite day trip spots, in case anyone close is looking for something to do this week! 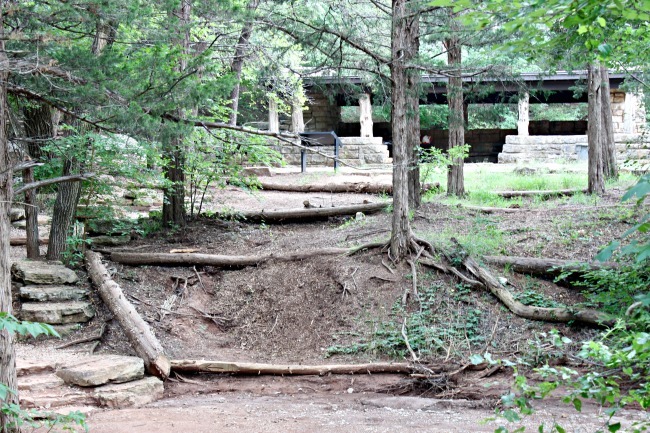 Roman Nose State Park is northwest of Oklahoma City, right at an hour and a half drive time. It's open year round and offers a multitude of things to do, whether you're there for the day or a longer period of time. 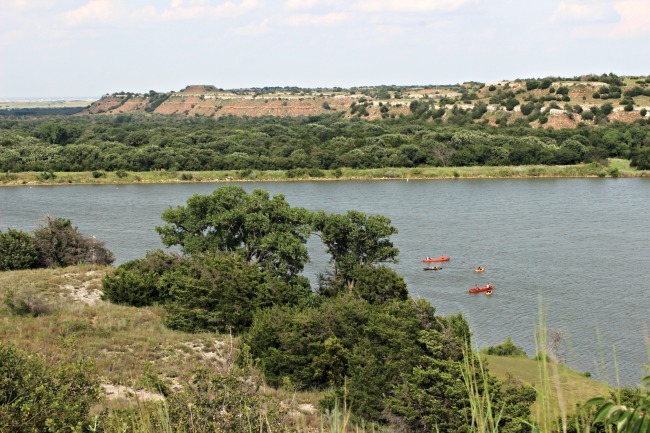 There is a variety of overnight options available for longer stays, including camping and RV sites as well as cabins and even teepees that you can rent! The lodge is actually 60 years old, but has recently been completely renovated and is very accommodating. I haven't stayed the night, but my husband recently took our church staff there for a 2 day staff retreat, and everyone stayed in the lodge. It's very clean and comfortable and includes a nice restaurant dining area, an outdoor patio, and even a gift shop (my son's favorite!). He also took the kids there to camp one night last Spring while I was under the gun to finish up our bedroom for the One Room Challenge (the time I pulled an all nighter for this project!). 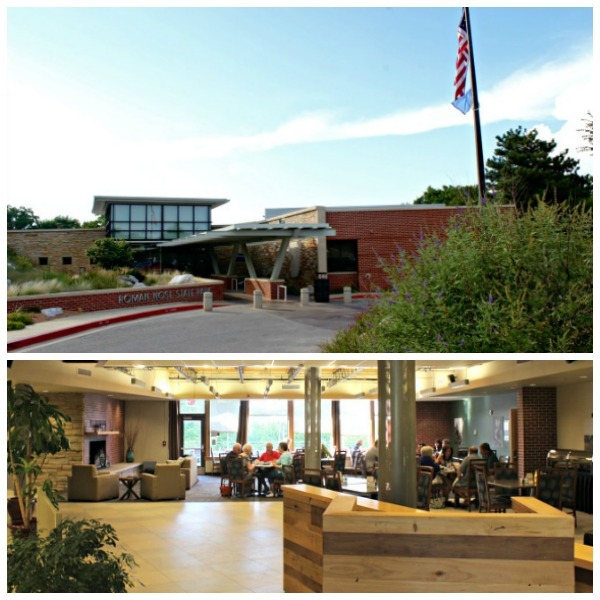 There is so much to do at Roman Nose. 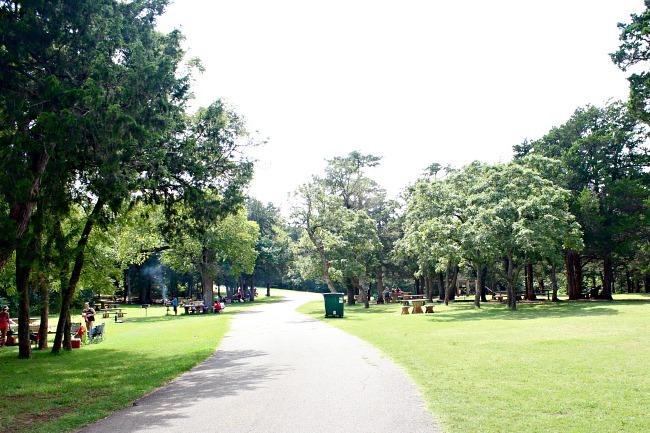 We usually pack a lunch or bring supplies to cook out at the picnic area, which has a good number of grills and picnic tables. This is one of our favorite spots to spend part of the day because there are several natural springs and waterfalls in this area. The water is very refreshing (cold!) in the summer and the kids have a blast standing under the waterfall. There's a nice amphitheater area that can be used by larger groups. 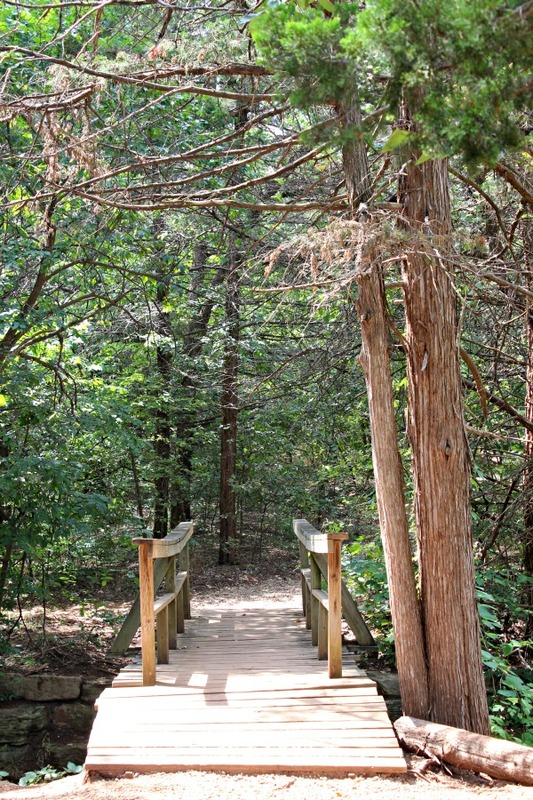 A beautiful rock staircase that leads down to the picnic and pool area... the perfect photo opp spot! 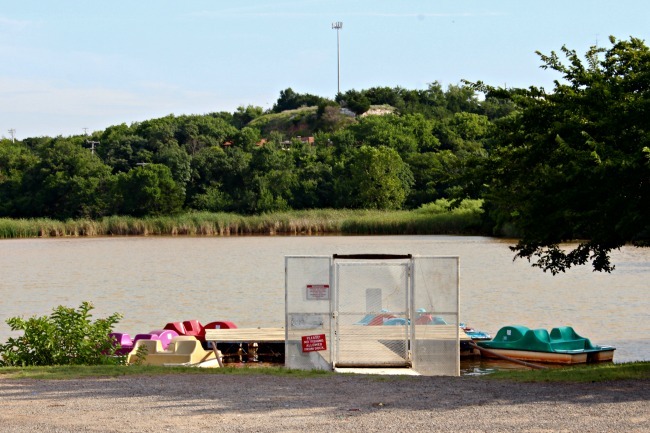 We also enjoy taking fishing rods for kids to cast in the lake a little bit. 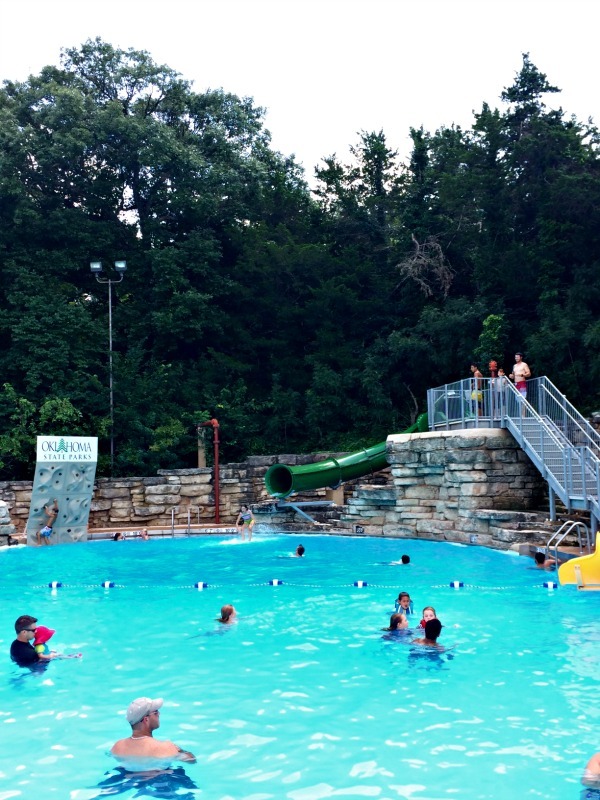 The pool is only open during the summer and there is a fee to get in, but with with a slide and rock wall it's hours of fun. There is also a splash pad next to the the pool, and a good number of lounge chairs available around the pool as well that you might be able to snag if it's not too crowded. 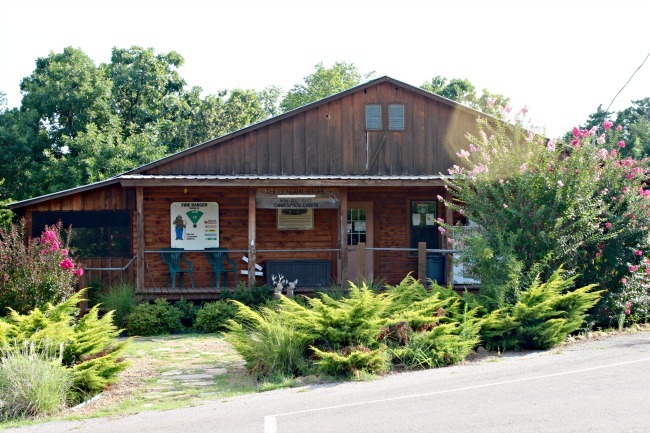 There's a small general store on property for all of the necessities that you might have forgotten for your trip, as well as a few souvenirs and treats. 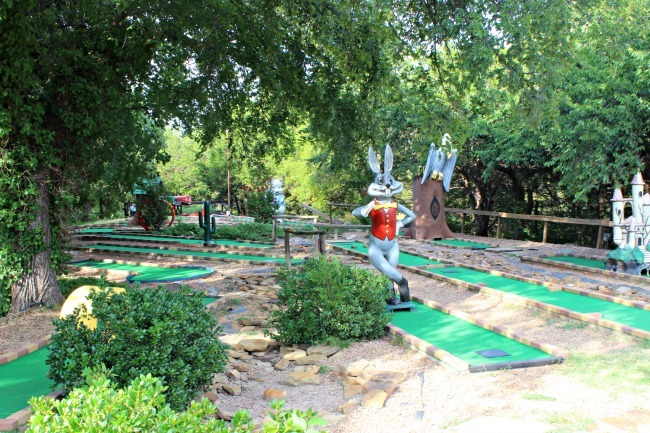 and horses to ride, as well as a full 18 hole par 70 golf course if you're a golfer. 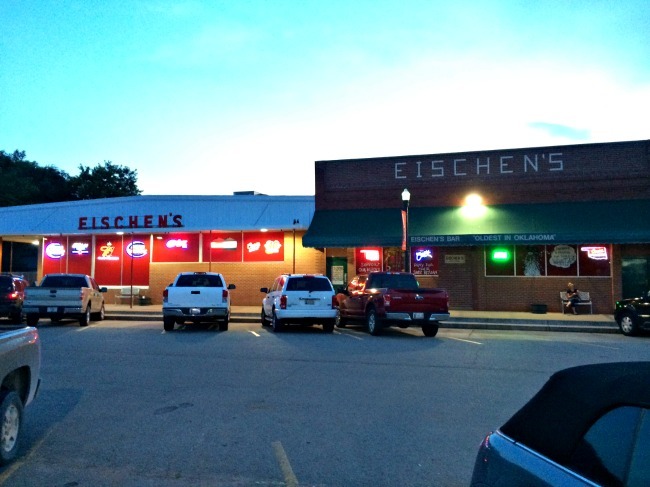 Many times we'll head back home through Okarche and stop for dinner at the famous Eischen's, some of the best fried chicken and fried okra ever! Just so you know if you haven't been before, Eischen's is a bar environment, but there is a separate dining area beside the main bar area if you'd rather get a table there. 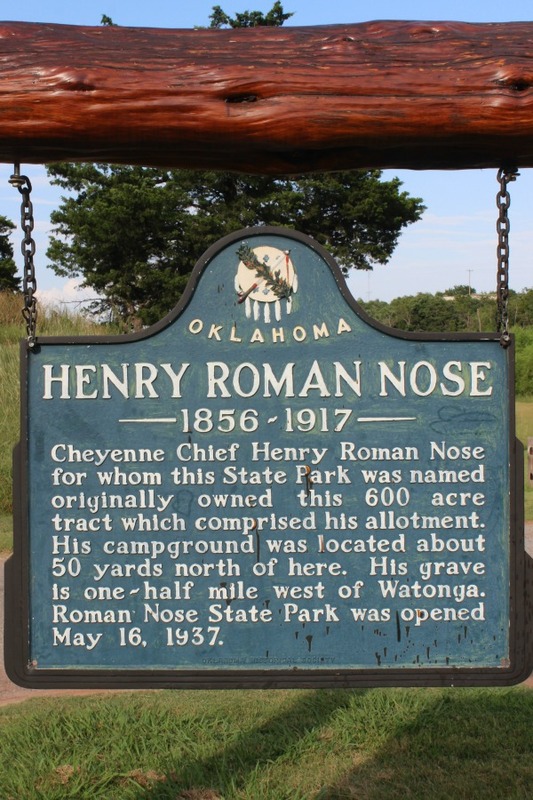 Even growing up in Oklahoma, we never visited Roman Nose when I was a child, so that's something we've done just since having our kids. 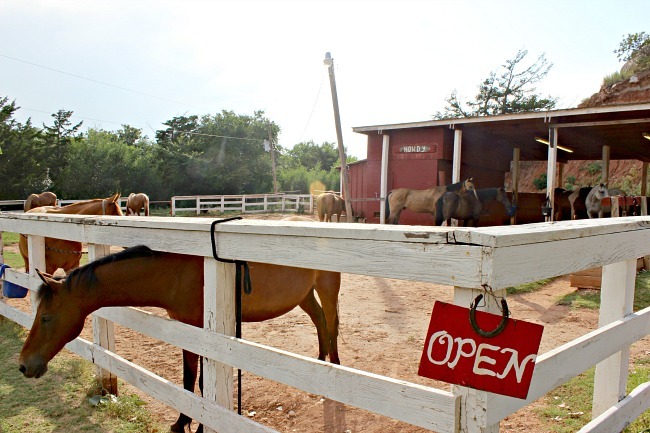 I know so many have fond memories of visiting Roman Nose through the years, I'd love to hear one of yours if you do! And, let me know if you've never been and decide to visit! 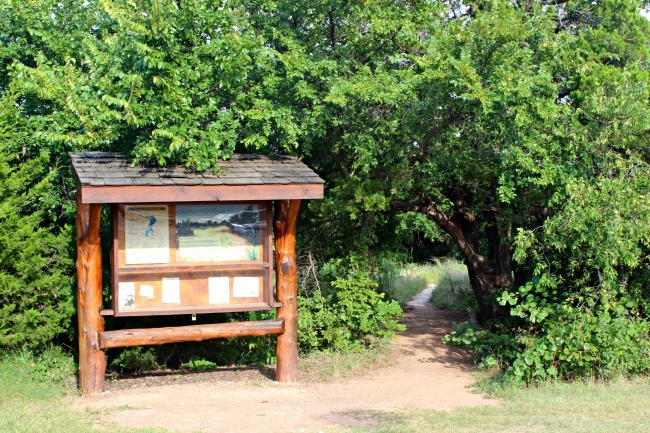 Visit Roman Nose State Park here for more information, directions, scheduling, and prices. 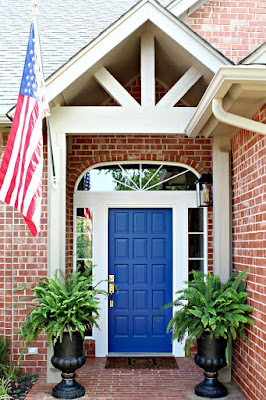 Found your blog through Pinterest, and love your decorating ideas! I live in Kansas City, but my son is a freshman at ok state, so thank you for posting things to do in OK! Wow, it looks wonderful! 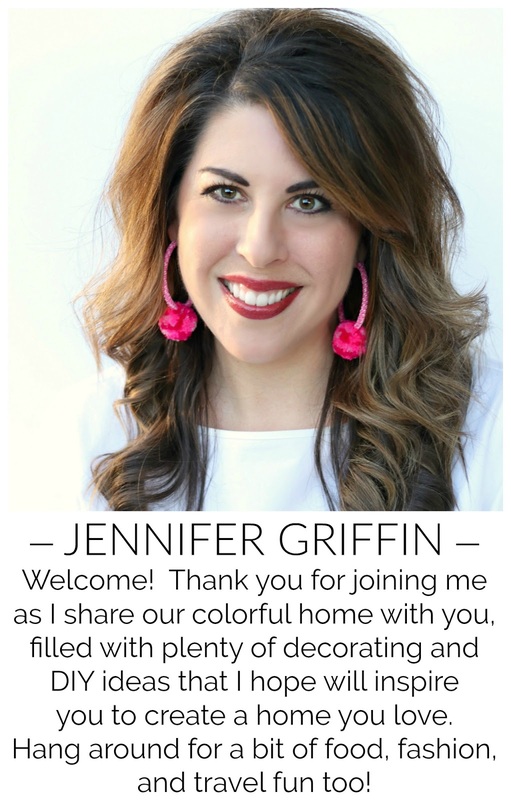 Thank you for sharing Jennifer! This looks like a great place for families to relax and unplug. Nature is still the best therapy in our hustle-bustle world. I've only been to Oklahoma to visit OU with my daughter back when she was looking for colleges. They have a beautiful campus! What a great park! Looks like you all have a ton of fun there together! Jennifer, I've lived in OK most of my life. 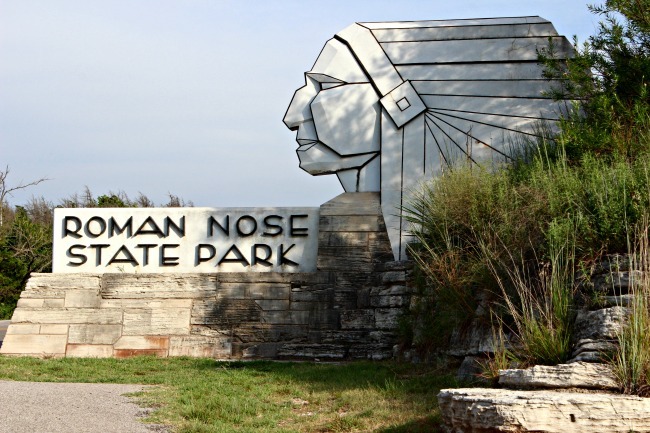 I grew up hearing about Roman Nose, and yet I've never been there. I was born in Tulsa and raised in El Reno Oklahoma... 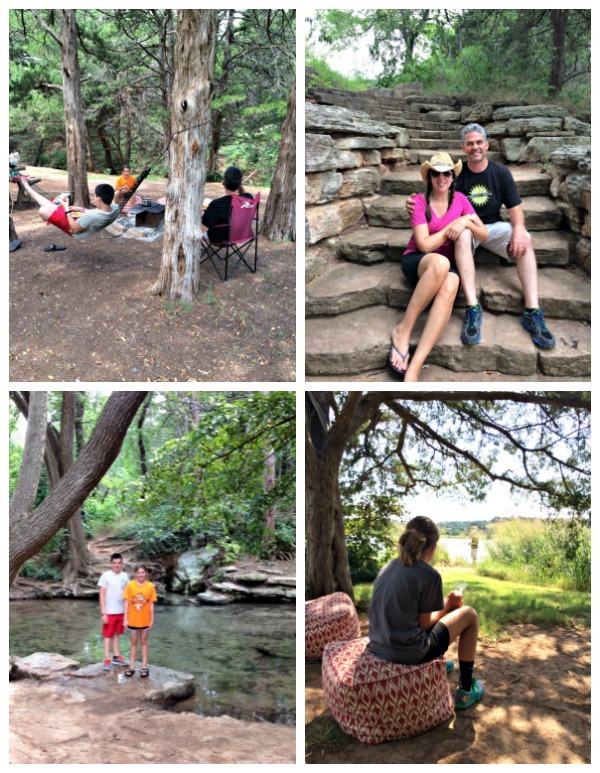 I spent 4H summer camp at Roman Nose State Park! The slide at the pool in new ( to me!) but I still remember the cold water and all of the fun. Back then you could jump off of the "cliffs". And Eischen's chicken... oh, man it is the best fried chicken ever! Thanks so much for the memories! Thanks for this idea! We live in Wichita, KS, but my husband is from Norman, OK! This is definitely a camping spot that we will try this summer!! !